Wilmington, North Carolina is the territory of one of our best agents – Wayne Oliver. 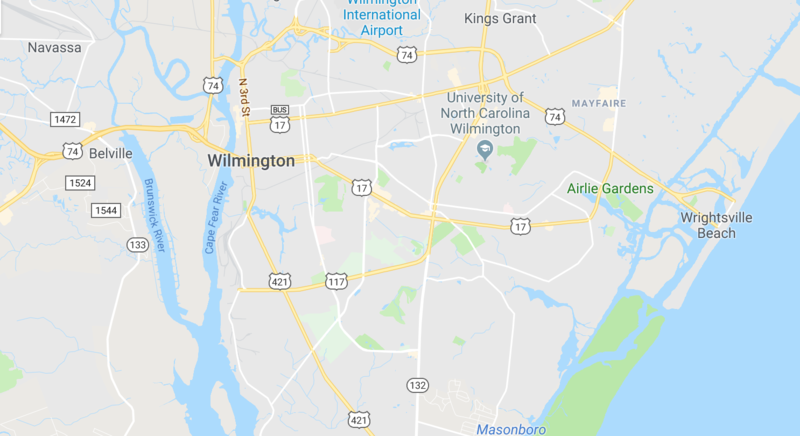 Wayne has been working in and around Wilmington for a significant amount of time which gives him the expertise to assist you in your health insurance needs in New Hanover County. You can reach out to him at 919-459-2683 or 855-ITS-BLUE (855-487-2583). As with all of our agents, Wayne will be more than happy to meet you at the location of your choice to discuss Wilmington, NC health insurance rates. In 2018, there are a number of Blue Cross, Blue Shield of North Carolina insurance plans available to those that reside in New Hanover County. 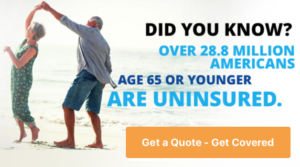 As your Wilmington area health insurance agency, we understand what each of these plans offers that is unique to other health insurance plans. We will also be willing to sit down with you and discuss any questions you may have as it relates to which doctors are in the network, which prescriptions are covered and any type of emergency situations that may arise. Our agent Wayne Oliver will be your go to expert when it comes to Wilmington, NC health insurance quotes and policies. You may want to also research further on our Raleigh, NC Health Insurance page. The population of Wilmington, North Carolina has almost doubled in the last two decades. In 1999, the population was 65,255 and today is it over 117,000. With more and more North Carolinians looking to enjoy life on the coast it should come as no surprise that Wilmington is their destination of choice. It may also shock some to know that Wilmington is a “Hollywood” town with major films such as Iron Man, The Conjuring and most Nicholas Sparks movies filmed in the coastal North Carolina town. Whether you are moving to the area for a new job, searching for a new job or plan on retiring in the next few months, The Mair Agency can assist you with your health insurance needs. We will be more than happy to explain you options whether you are looking for short term insurance, self employment insurance or any other type of health insurance. Our agents will go above and beyond to answer any question you may have as it relates to doctors in your network, emergency hospital visits, prescriptions covered and dental plans. Blue Advantage, Blue Select and Blue Value are the Blue Cross NC plans that are offered in New Hanover County. To better assist you in choosing the correct policy, Wayne Oliver will need more information related to your overall health and lifestyle. He will be more than happy to discuss the types of coverage available, the cost of coverage and what doctors and hospitals are in the network. We do not want you to feel as if you are in the dark with anything related to your Wilmington, NC Health Insurance policy. We are open and available to discuss any questions you may have in relation to Medicare Part A and Part B, Medicare Supplements or general family health insurance. Do not hesitate to call us any time. If you would like to know more about getting NC healthcare without ACA do not hesitate to lean on The Mair Agency. Many people often ask us about Blue Cross NC Dental insurance. If you would like to reduce your overall dental costs by adding dental insurance to your health insurance, use this link. We often find that many families with young children prefer to add on dental insurance as preventative maintenance is very important for younger children. Almost all parents want their children to have healthy teeth growing up. Rather than worrying about paying a large bill every time you go to the dentist, it might be wise to consider adding Blue Cross NC Dental to your health insurance. Where do you get your Health Insurance? So let’s talk about chapter two, electronic health records, HIPAA and HITECH. Patient’s medical record obviously contains facts, finding, and observations about the patient’s health. Documentation, if it isn’t documented in the medical field, it didn’t happen. All of your payment is dependent on documentation. So the documentation must be consistent. Medical standards of care state specific performance measures. Medical records in documentation are your legal document, they help physicians make accurate diagnoses. Malpractice, obviously, failure to use professional skill with giving medical services that can result in injury and/or harm. Your encounter, this is when a patient comes in for services. E and M, E and M is evaluation and management. This is your provider face-to-face. So, this is the provider’s evaluation of a patient’s condition and decision making on a course of treatment. That documentation goes into your paper record or an electronic health record. Electronic health record or electronic medical record. They’re both basically the same thing, they contain the information regarding the patient. However, an EMR is in Dr. Jones’s office only. An EHR, an example of an EHR would be Kaiser Permanente. I know there are throughout the country. Kaiser Permanente has a computer system. All of Kaiser Permanente physicians use that computer system. So all of the patients that go to the physicians’ offices, all the patients they go to the hospitals, all the patients that go in the nursing homes, all of that information is within one large massive electronic health record, and can be accessed by other facilities and other physicians within the network. Whereas Dr. Jones, his EMR is only in Dr. Jones’ office. Informed consent, this is the process by which a patient authorizes medical treatment after the physician discussed. For any procedure being done, the patient needs to sign an informed consent. That way the physician has explained to the patient everything that happens, the patient states they understand, and they sign the informed consent. Medical documentation and your billing cycle is correlated to the documentation. Obviously, every service must be documented, and what has been done must be documented. In order to justify your billing, you must have the documentation. So within the EHR you have SOAP notes, you have the subjective. The subjective is what the patient states. I have a cold and cough and I’ve had it for three days. The objective, this is where the medical assistant, the nurse, the physician, the clinician is looking at the patient. This is what the clinician can observe. The patient is sweaty, which is diaphoretic, the patient is looking very pale, the patient has tenderness in the right side. These are your objective, these are your touching, this is your feeling, this is the scene. Then there is the assessment, this is what the physician or the clinician has determined is wrong with you. So I walked into the office for a cold and cough, that was the subjective. The doctor listened to my lungs, you know, my vitals were taken, he saw that I was sweaty, he saw that I’m, you know, coughing and I looked terrible. His assessment, upper respiratory infection, that’s his diagnosis. The plan, take two aspirin and call me in the morning, you know, type thing. Now here’s this prescription, get it filled if you’re not any better in eight to 10 days, come back to the office type thing. That’s the plan. So every patient has a SOAP type thing going on. There’s a subjective, objective assessment, and plan. The main federal government agency responsible for healthcare is the Centers for Medicare or Medicaid Services. We talked about CMS because over 30% of the United States is in government plans, they’re either in Medicare, Medicaid, Tri-Care, or CHAMPVA. Tri Care and CHAMPVA, those are the service plans. Over 30% of the United States is in government plans so when the government makes a rule, everybody follows. Okay. States are also major regulators because the states are over the Medicaid and we’ll get into that later. The foundation legislation for the privacy of Health is the Health Insurance Portability and Accountability Act of 1996, HIPAA. HIPAA came about regarding electronic health claims, and regarding paper-patient medical records and the coverage of that. It protects private health information, insurance coverage, on covers fraud and abuse and creates industry standards. ARRA, The American Recovery and Reinvestment Act in 2009 covers what HIPAA didn’t cover. HIPAA didn’t cover electronic health records so they needed something to cover electronic health records, because HIPAA was over the electronic billing and HIPAA was over the paper medical records. So HITECH covers the electronic health records and HITECH also encourages practices to put in computer systems. So what they did is for any practice that had over 30% of your patients Medicare or 30% of your patients Medicaid, you put in an electronic health record, we will give you money back if you meet all of these meaningful use criteria. A meaningful use signifies the utilization of a certified electronic health record to improve quality, efficiency, and patient safety. One of the large things of HITECH is the computerized physician order entry, CPOE, and that is the physician order entry of prescriptions, that is the big one. How many times have you tried to read that physician’s prescription when you’ve gotten it? Well, pharmacists have the same problem, and what’s happened is patients have gotten the wrong medication or the wrong dosage. So in order to reduce cost because due to errors and reduce, you know, the inconvenience and possibly the health risk to patients from those errors, part of HITECH was a computerized order entry. If you don’t worry your physician prescriptions through a computer, you now get reduced payment from Medicare for Medicare services. Eventually, insurance companies will get on the boat, this however, only concerns because it was done by the government, it concerns your Medicare and Medicaid. The HIE, health information exchange, makes it possible to share health-related information among provider organizations. The goal is eventually for all physicians to have electronic health records that share information. How they do that is a small part of Texas … Texas is broken probably into 12 or 15 different units. Each of those units, every provider within those units, reports to this database within that unit. That all of those databases are combined for the state of Texas, then Texas combines with all the other states. So the goal is when I’m in an auto accident and Alabama, the physicians in the emergency room will be able to access my medical records from Texas, from Utah, from Florida, from Wisconsin, from Illinois. They’ll find out everything that’s ever been done on me, find out all the results of my lab tests, all the results of my X-rays, any allergies I have, et cetera. With all that information, the emergency room physician can make a better decision regarding my healthcare and there’s less chance of accidents. The ACA, the Accountable Care Organizations, these offer incentives to form Accountable Care Organizations. An ACO is a network of doctors and hospitals who share responsibility for managing quality and cost of care provided to a group of patients. The goal is to avoid unnecessary tests and procedures. So basically, an ACO, is an MCO, which is the Managed Care Organization, this is an Accountable Care Organization, and this Accountable Care Organization is networks of doctors and hospitals who share responsibility. It’s just a kind of a branch off to the managed care. Your EDI, your Electronic Data Exchange or interchange. This is the system to exchange data, this is where you send your claims, receive electronic payments, send an inquiry regarding why didn’t you pay this claim, get your response. Send an inquiry regarding what is this patient’s benefits, get a response. That’s your EDI. The electronic exchange of healthcare information is called a transaction. Healthcare organizations must obey HIPAA if you bill insurance and receive insurance company payments for healthcare. So what is not covered by HIPAA is auto insurance, workman’s compensation, and disability, because those are not health insurance providers. So again, they aren’t necessarily under HIPAA but everybody else is. So a covered entity is anybody who builds an insurance company for services and receives a check. So that is your durable medical equipment, your pharmacies, your physicians, your physical therapist, your occupational therapist, your X-ray facilities, your lab facilities, your hospitals, your nursing homes, your et cetera, et cetera, et cetera. There are so many. What is a clearinghouse? Well, because we send claims electronically and we need to make sure that our claims from our computer system talk to the insurance company’s computer system, not everybody can have an IT person or computer person on ground to be able to figure out if my computer system’s language is talking to this computer system in the right language, and my stuff gets from my computer to that insurance company’s computer. So we pay clearinghouses to do that. Clearinghouses have nothing but IT people there to help your claims from your computer system get on to the insurance company’s computer system. That’s what a clearinghouse is. A business associate, a BA is a business associate agreement. These are organizations that don’t work for you, and are not covered entities. Your law firm, your outside medical biller, your outside coders, transcriptionist, your account, and your collection agency, the copy machine repairman, the cleaning service, these are people who come into contact with the medical information regarding your patients, they are not trained in HIPAA, and you do not have to take responsibility for training them in HIPAA. However, they have to sign an agreement stating that anything that any of their employees look at or see, they abide by HIPAA, and don’t spread that information. Obviously, when a copy machine repairman comes in, and they take that paper and it’s crunched on the copy machine, and they unfold it to see how much of it got crunched and how much of it got printed on to see what they can figure out what’s going on with the copy machine. Obviously, they’re going to see patient names, they’re going to see patient information. HIPAA Privacy Rule, this is the law regulating the use of disclosure of PHI. What is PHI? That’s Protected Health Information. This is anything that identifies my medical record just say that it’s me, my name, my address, my social security number, where I work, my height, my weight, possibly. It depends on, you have to think of this in terms of not only, you know, the information in the system but where you are geographically. I lived in a town for a while in Wisconsin, which had 850 people. Well, do you think everybody knew everybody? Yes. So if I went to a doctor within that office, anything about me as far as my hair color, my age, and where I work could identify me in a town of 850 people. In the city, if I lived outside, I live outside of Milwaukee, Wisconsin, so if I was in a physician’s office in downtown Milwaukee, well, my hair color my age, and where I work doesn’t necessarily … Or the type of work I do doesn’t necessarily identify me in the City of Milwaukee but it did in a city of 850 people. So PHI basically is anything that can identify who this patient is. Both using disclosure of PHI are necessary and permitted for TPO, treatment payment and health care operations. If you need to call another physician to ask him about this patient and how to deal with this patient, you don’t need the patient’s permission. You’ve already had the patient sign when they first came in that they give you permission to bill the insurance company, that also gives you permission to give information to that insurance company that is needed … Excuse me, that is needed to pay that claim. For operations obviously, I, as a biller, need to know patient information. The patient doesn’t have to give me permission to have that information because that’s for operations. Your minimum necessary standard. Well, this just means that if a lawyer’s office wants records regarding an auto accident you send only the records regarding the auto accident. If the insurance company wants information about, you know, last month’s office visit, you send them only the information about last month’s office visit. They don’t have the right to any other information. Your designated records set, this is the covered entities records that contain the PHI.